William Davis has recently been re-elected to serve for an additional two years as National President of MAES – Latinos in Science and Engineering Chapter; his term is set to expire on May 31, 2016. Actively involved within MAES, Davis first joined the organization in 2000, as an undergraduate student, and later joined the National Board of Directors in 2003. Davis has been awarded Director of the Year, honored with the Medalla de Oro in 2007–the highest award presented to an individual by MAES, and was recognized by the HENAAC with the Luminary Award in 2007. Earning both of his degrees at UTEP––B.S. in Metallurgical and Materials Engineering in 2002, and his M.S. in Metallurgical and Materials in 2005, Davis participated in various organizations while attending UTEP. These include, Tau Beta Pi Engineering Honor Society, Alpha Sigma Mu Metallurgical Engineering Honor Society, the Engineering Student Leadership Council among others. He was also involved in undergraduate and graduate research, where he contributed to several papers, research articles, and poster presentation. Davis said it is no surprise that a UTEP miner was selected to serve as National President of MAES. "Both MAES and UTEP have a long history of pioneering ways to engage minorities in higher education, opening the doors for achievement within STEM. This year MAES celebrates its 40th Anniversary and continues to serve as a contributor to America's innovation engine," Davis said. According to Peter Golding, Metallurgical and Materials Engineering professor and faculty advisor, Davis continues a lineage of leadership and service by UTEP engineering alumni to MAES. "We are proud of his success. UTEP is appreciative of the work to MAES and efforts to create opportunities for underrepresented population in the engineering profession," Golding said. 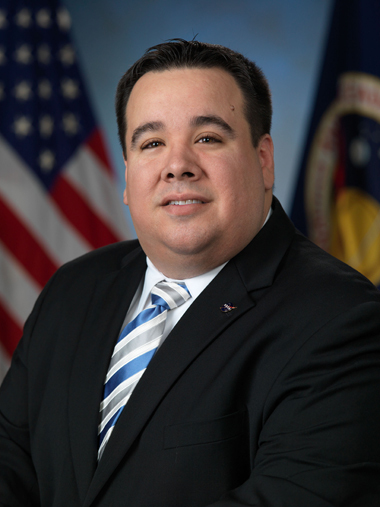 Davis joined the NASA in 2005 and is currently an engineer at the Lyndon B. Johnson Space Center with the Safety and Mission Assurance Directorate. He serves as a subject matter expert in the areas of materials and processes engineering, quality engineering, mechanical parts and anti-counterfeiting measures for several of NASA's manned spaceflight programs including MPCV/Orion, International Space Station, and Commercial Crew. It is the foremost Latino organization for the development of STEM leaders in the academic, executive and technical communities. MAES is one of the leading membership-based organizations for Latinos in STEM and has been around since 1974. It serves to promote, cultivate and honor excellence in education and leadership among Latino engineers and scientists. For more information visit www.mymaes.org. The College of Engineering is a national leader in engineering education and a leading producer of doctoral, master's and baccalaureate degreed Hispanic engineers. The University of Texas at El Paso (UTEP) is the second oldest academic institution of The University of Texas System. Washington Monthly magazine ranks UTEP as #7 in the nation in its annual College Guide and Rankings. The magazine's rankings were based on a combination of social mobility, research production, commitment to service and cost-effectiveness of degree completion. For more information, visit engineering.utep.edu.